The products listed on this page I find to be helpful, of good quality, and important in our day to day life. Some products are for learning, others are to enhance a child’s imagination. Some products are to help fill in the gap between what we should eat and what we do eat. I hope these products benefit you and your family as much as they have benefited me and my own family. 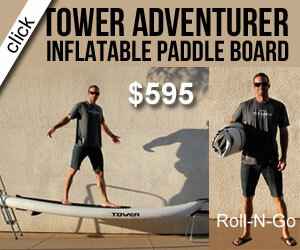 Tower Adventurer Inflatable Paddle Board My family and I love getting outside and enjoying the water and great weather. We can take these boards with us on our boat or throw them in a backpack for camping near the lake. They are virtually indestructible and very light weight compared to traditional paddle boards. Check out all the different styles. Then let me know all about your great adventures. Tower Garden helps you eat more fruits and vegetables by letting you grow delicious vine-ripened produce right outside your back door. Grow almost anything you like, including tomatoes, lettuce, basil, peppers, spinach, beans, cucumbers, melons, and herbs. And increase your children’s interest in eating fresh fruits and vegetables by involving them in gardening. Usborne Books - Everything from internet-linked encyclopedias to sticker books and inspirational reading --- Usborne books enrich the lives and imaginations of children ages 0-100+! Contact me for curriculum and supplemental material for home or school. You'll learn more than just capitals with Great States! Where is the Football Hall of Fame? What state touches two Great Lakes and an ocean? Bolster social studies and map-reading skills as players test their knowledge of state locations, landmarks, and capitals. Improve your kids' knowledge by getting them to find where things are located and become more familiarized with US geography. Spin the spinner and take the top card off the pile that matches what the spinner points to; the player to the left of the spinner sets the timer to 30 seconds & reads the question on the card. Look on the map and try to find the answer before the 30 seconds are up. The first player who gets the number of cards required wins! 2-6 players, Ages 7 & up. Get to know America with this fun game of bingo. The calling cards have four categories: state capitals, postal abbreviations, nicknames or slogans, and trivia teasers, for a variety of learning experiences. Ages 8 & up; 3-36 players.